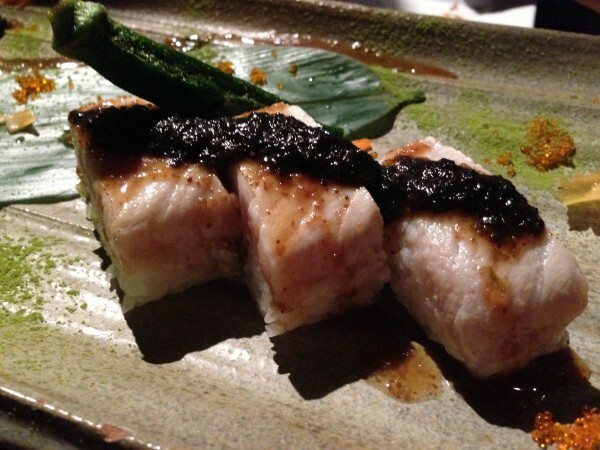 Pachinko machines light up the dining area and old-school Japanese movies play on a projector at the front (think Godzilla). 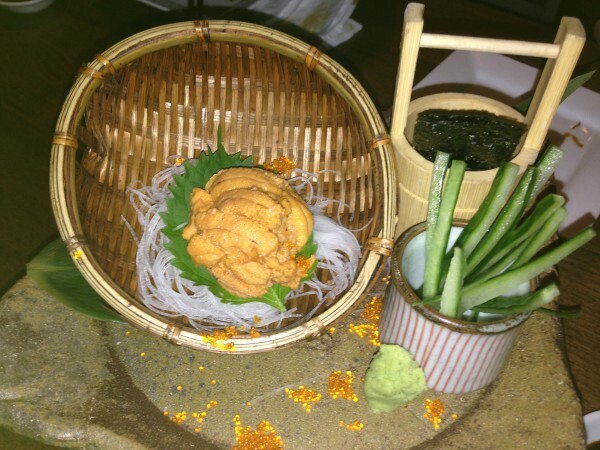 The restaurant’s namesake actually means goldfish in Japanese – the theme is carried through with live goldfish swimming in a pool built into one of the larger tables in the restaurant. 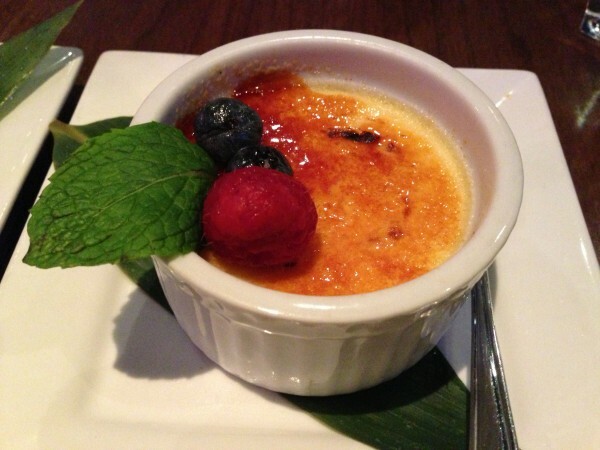 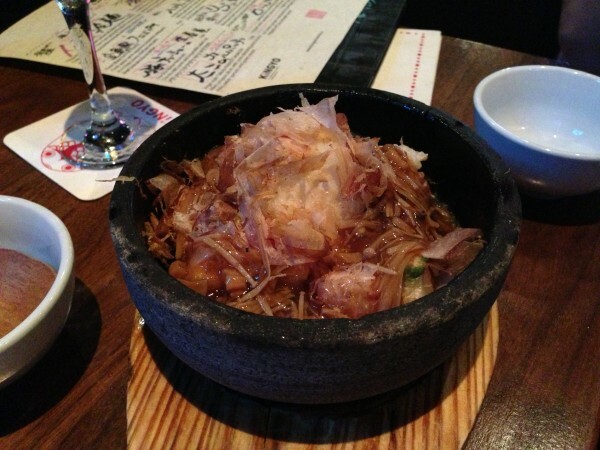 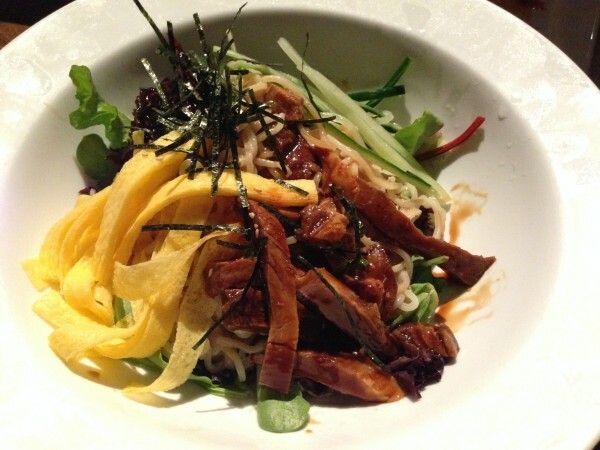 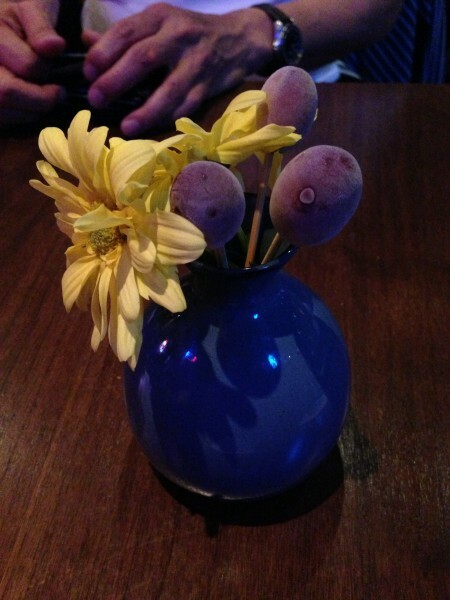 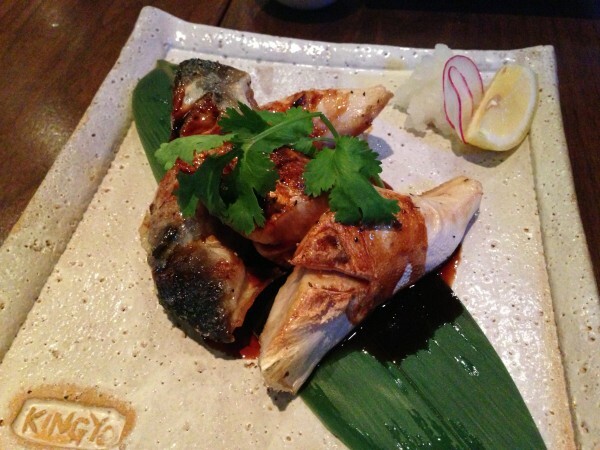 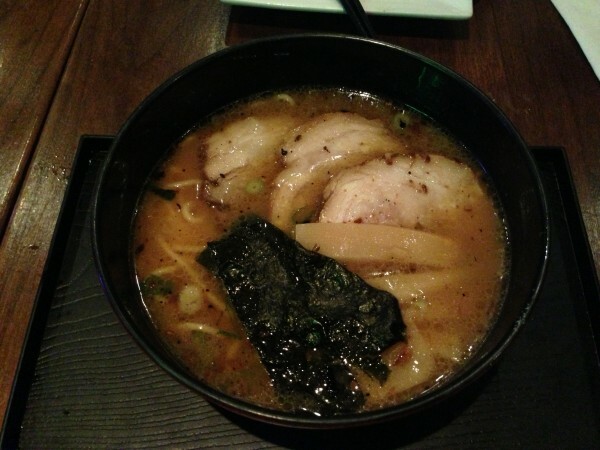 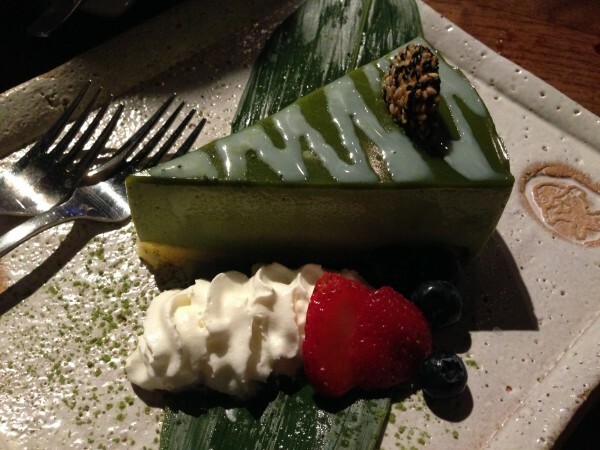 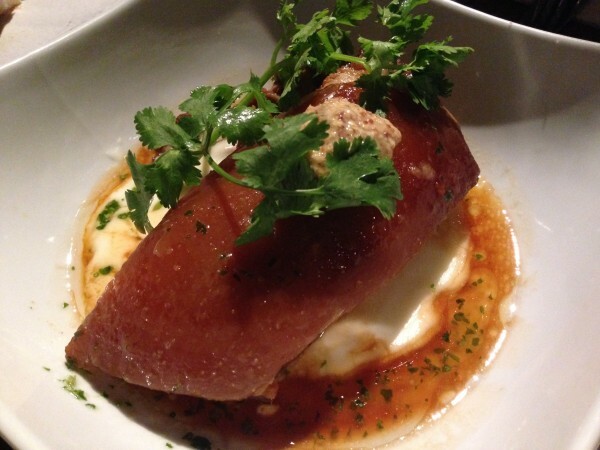 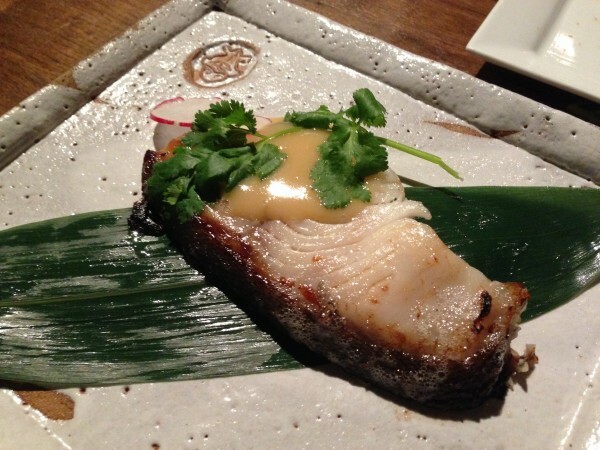 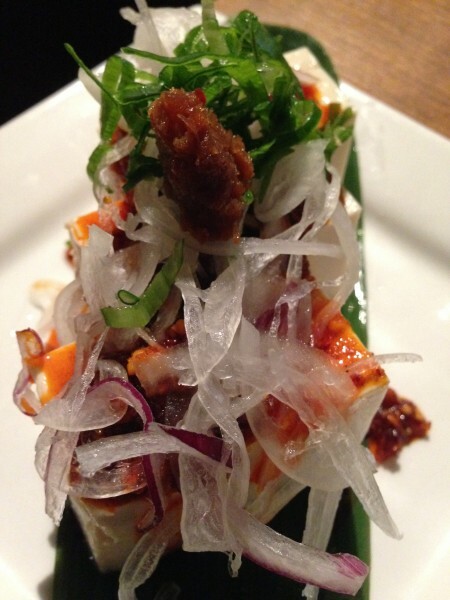 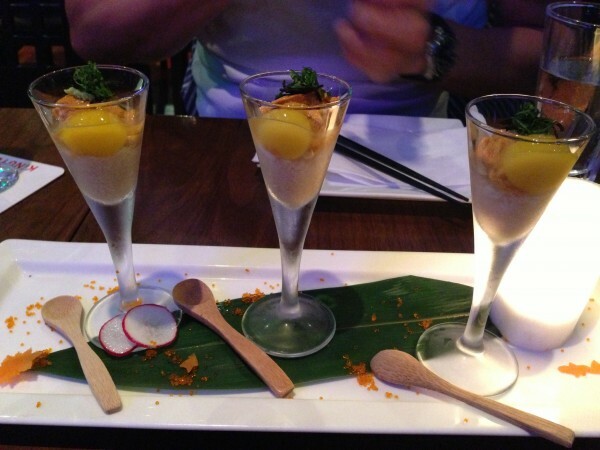 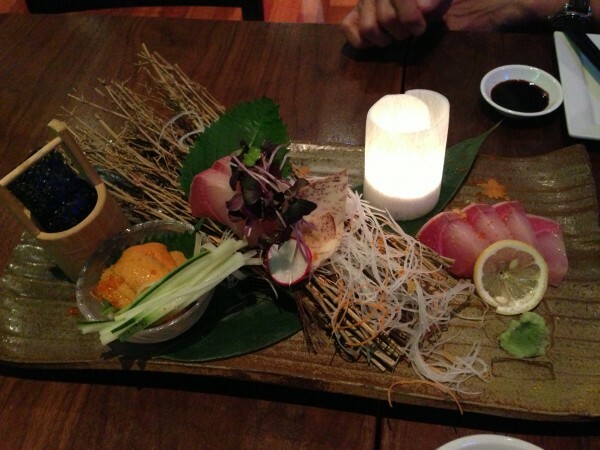 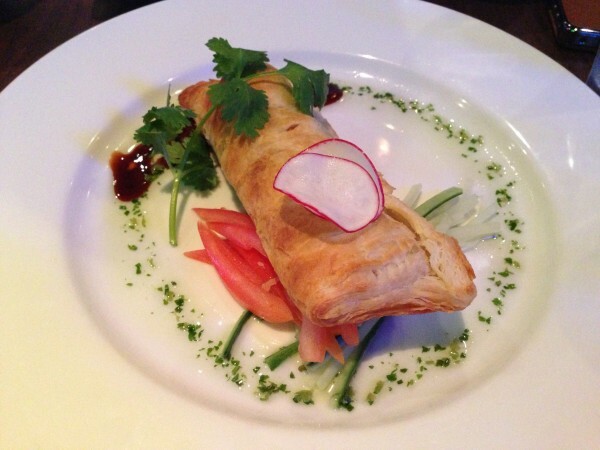 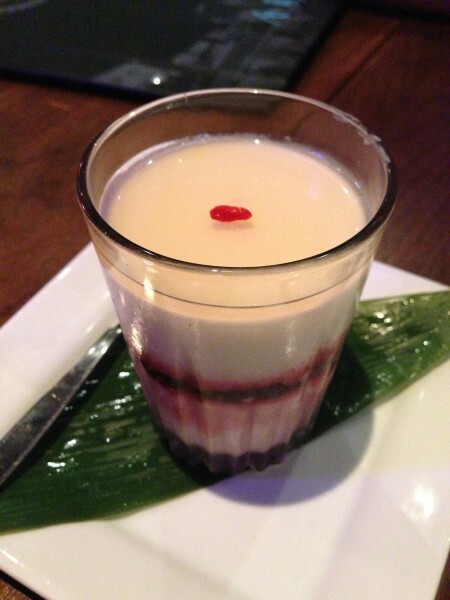 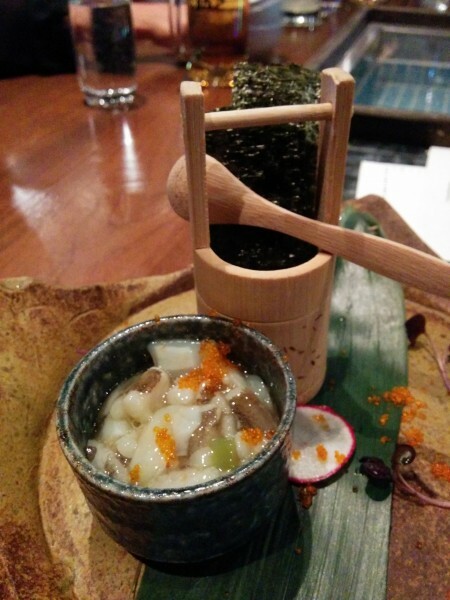 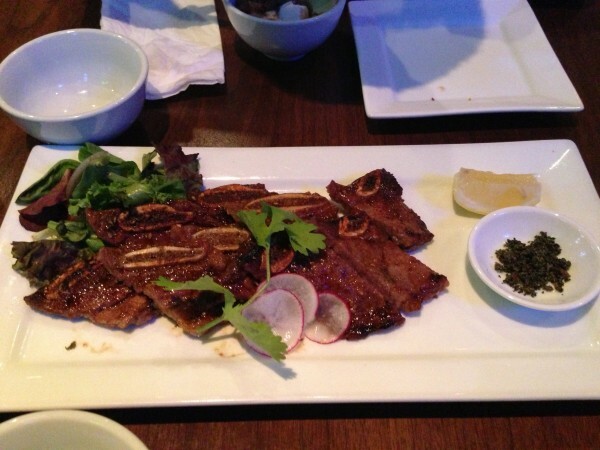 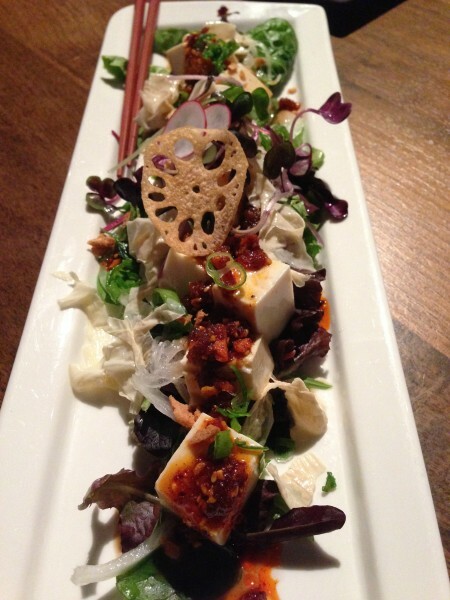 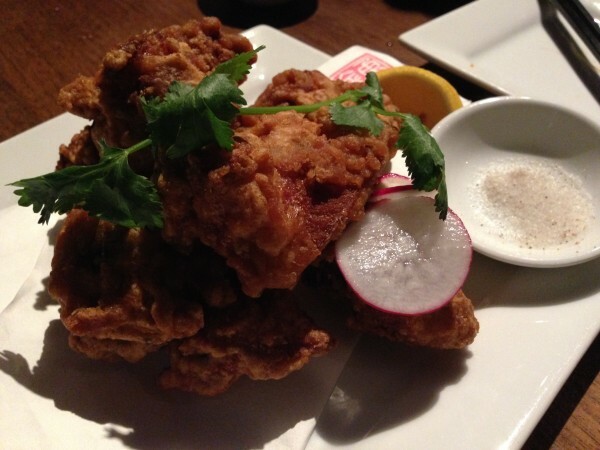 Below is a compilation of dishes we’ve tasted at Kingyo over the past couple of months. 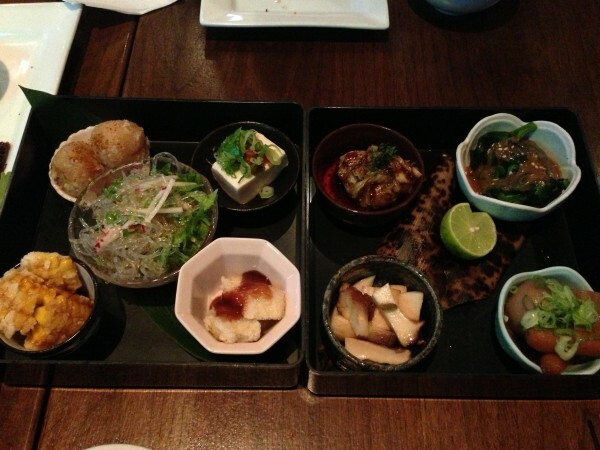 Some of our favourites: tako wasabi ($4 gets you a sinus opening bowl of octopus and a couple sheets of nori), sea urchin shooter (if you’re feeling adventurous), freshwater eel puff pastry, grilled yellow tail cheek, and to finish off, the silken two color almond tofu. 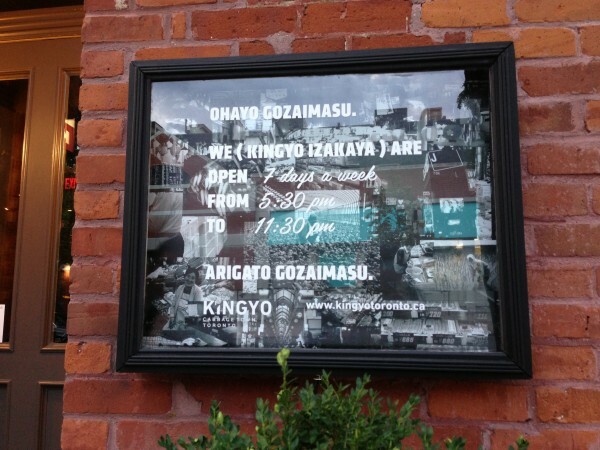 Tags: Cabbagetown, Casual, Dinner, Isakaya, Japanese, Kingyo, Lunch, Toronto, Winchester.